On the evening of December 27, 1936, ten year old Charles Mattson was kidnapped from his home at gunpoint in front of his brother William, 16; sister Muriel, 14; and her friend Virginia Chatfield, 14, of Seattle. 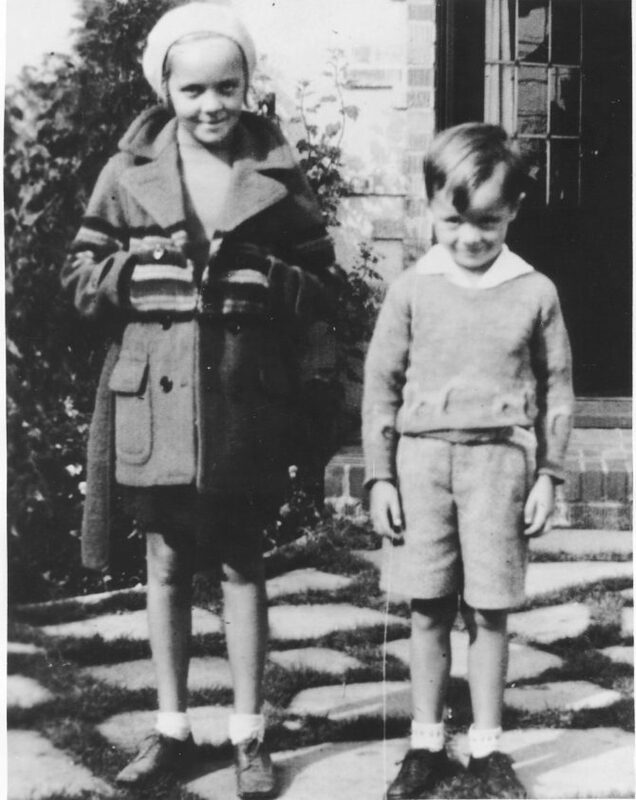 This is a copy of an earlier photograph of Charles Mattson in a sweater and shorts standing next to his sister Muriel, wearing shorts, a heavy coat and hat, standing outside of the house where the kidnapping occurred. Muriel was four years older than Charles. A ransom demand of $28,000 was made for the boy's safe return. The boy's body was found January 10, 1937 in snowy woods near Everett. The ransom was never paid despite many efforts of his frantic parents to comply with the kidnapper's demands. The demands were so erratic and conflicting that law officials felt that the kidnapper had to be insane. Despite the questioning of many suspects, the crime was never solved.